We had previously reported that Amazon has listed a limited deluxe edition of “The Hunger Games” movie soundtrack, “The Hunger Games: Songs From District 12 And Beyond”, is available for pre-order at US$19.89 (around S$24.9596). This is pricier than the album that is listed on iTunes which is priced at US$11.99 (around S$15.0467). Many thanks to Will, we now know what makes “The Hunger Games: Songs From District 12 And Beyond” limited deluxe edition different from the normal edition. Will you be getting the normal edition or the limited deluxe edition? 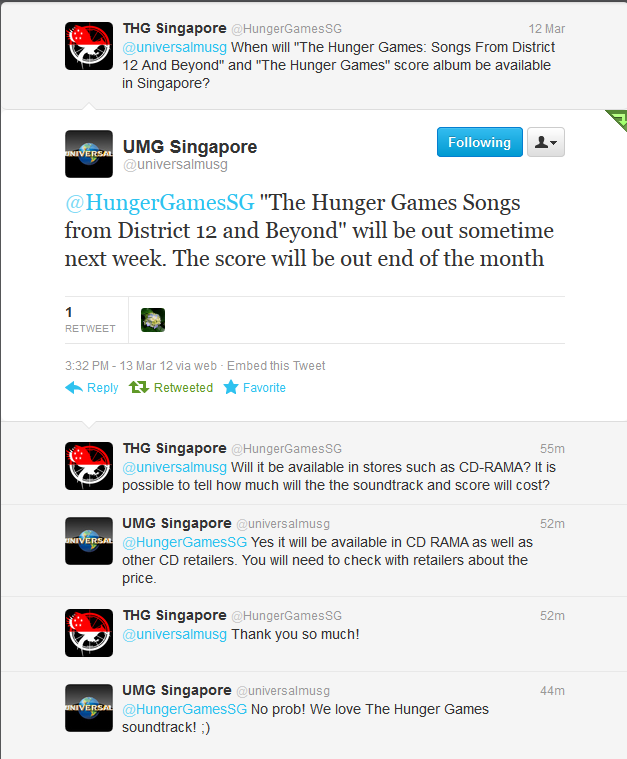 “The Hunger Games: Songs From District 12 And Beyond” will be released on 20 March 2012 while “The Hunger Games'” will be released in Singapore on 22 March 2012. 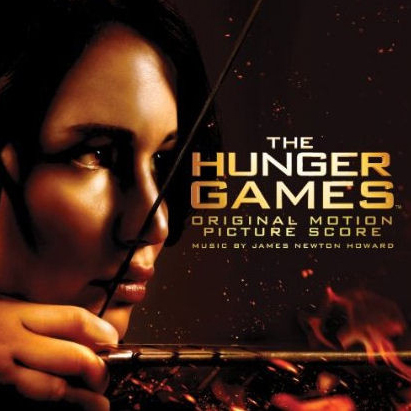 Amazon has listed a limited deluxe edition of “The Hunger Games” movie soundtrack, “The Hunger Games: Songs From District 12 And Beyond”, is available for pre-order at US$18.04. This is pricier than the album that is listed on iTunes which is priced at US$11.99. There are no additional information about this limited deluxe edition yet regarding to the additional content it offers. 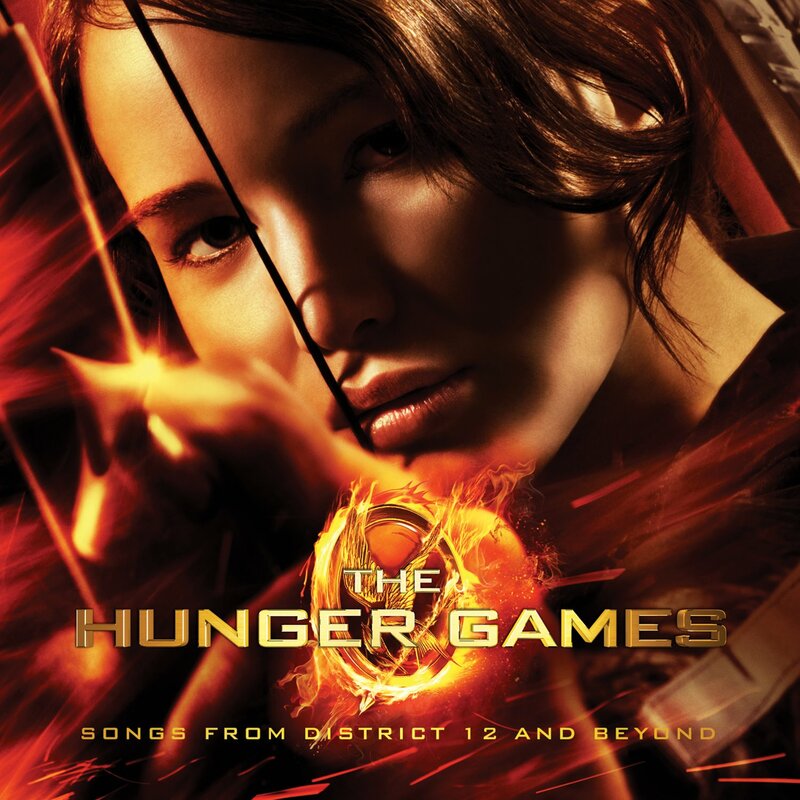 “The Hunger Games” movie soundtrack “The Hunger Games: Songs from District 12 and Beyond” is now listed on iTunes along with full track listing! There are 16 songs in total along with one bonus music video of “Safe and Sound” by Taylor Swift feat. The Civil Wars which is set to première on February 14. Audio for several songs can already be found online. To give you an idea of what this soundtrack will be like, we have posted three tracks below for your listening pleasure. If you like the songs, do show your support by pre-ordering from iTunes at US$11.99 or purchase the album from Amazon or from local music stores such as CD-RAMA, Gramophone, HMV, That CD Shop. Source: iTunes via Hunger Games Fireside Chat.